Just wanted to share a few more details on our Hong Kong Disneyland adventure. 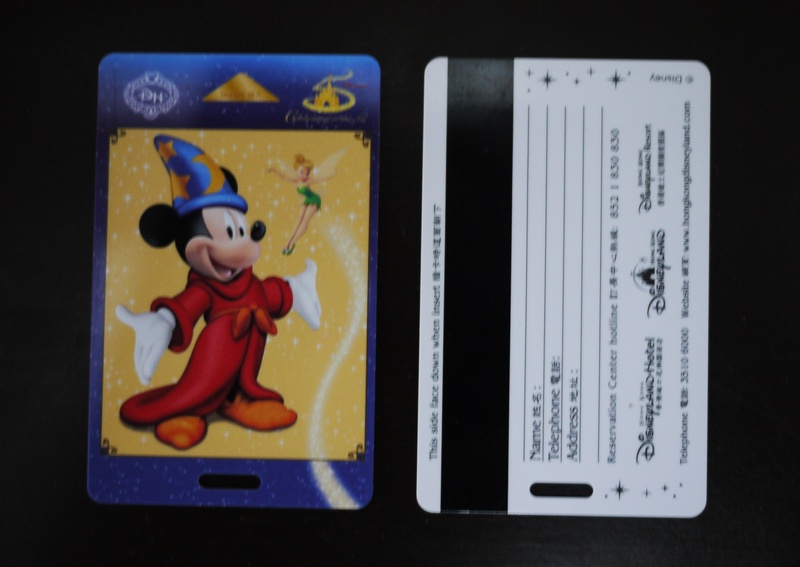 The Disneyland hotel key cards were thought of well. They’re not the ordinary key cards you’d throw away after using. They turn into bag tags. Very useful hotel key card. I use it now for kids' bags and even our luggages. The hotel also gave us our Disneyland park tickets upon check-in. This saves time lining up to buy park tickets at the entrance. 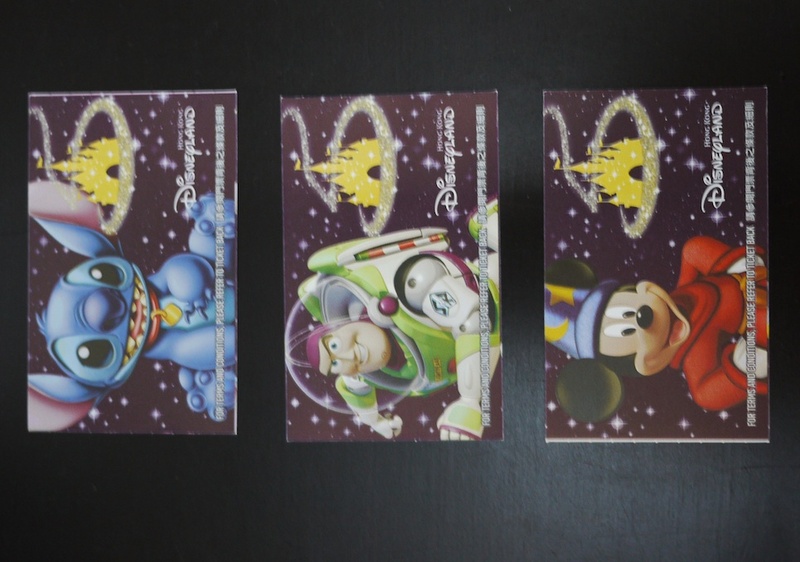 These are how Disneyland Park Tickets look like. 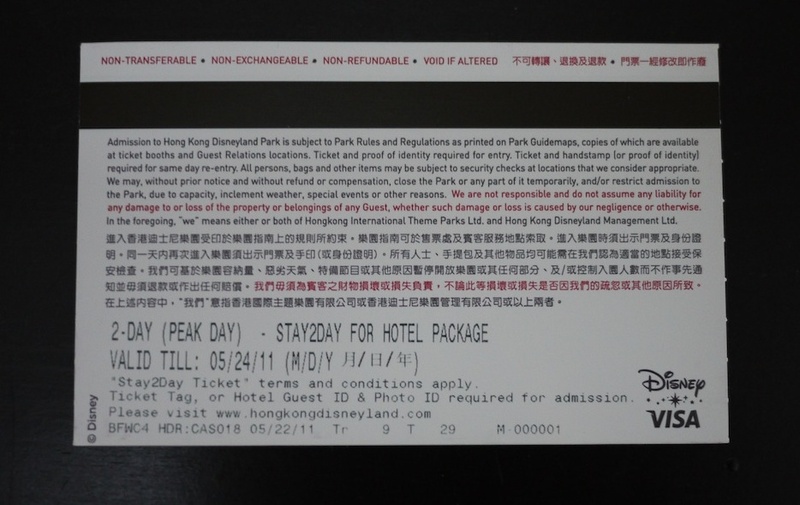 (back of tickets) We got stay2day tickets included in Cathay Pacific Disneyland Package. Now, remember to put on sunblock before heading out to the park. I completely forgot about that and didn’t even think I needed to put on sunblock coz it was raining when we arrived Hong Kong. We also weren’t walking much under the sun. When the sun was at its brightest, we’d be indoors eating. But I was so wrong! See the wrist watch mark? 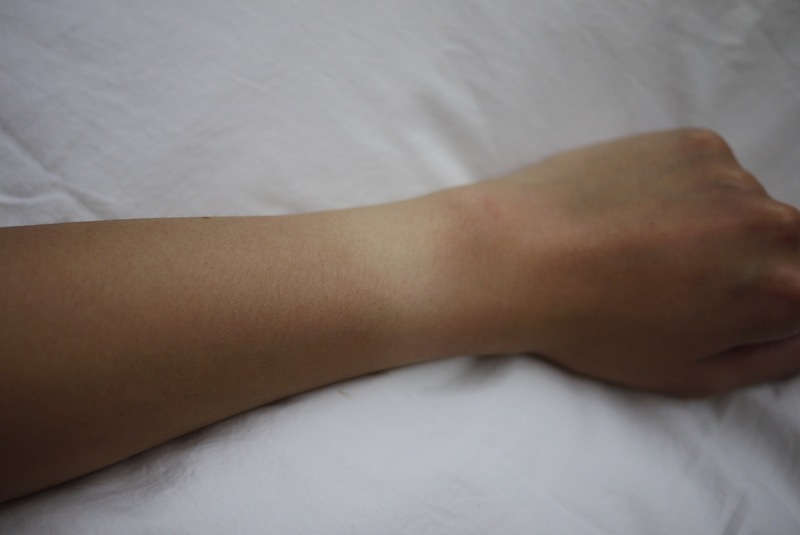 I only noticed this sunburn after a couple of days. It was a good thing our 2 year old was always under her full stroller shade (shown in part 1) as she didn’t like it when it was too bright out. (Realizing I’m loving the capella stroller more and more…) …So moms, make sure you pack your sunblock too. 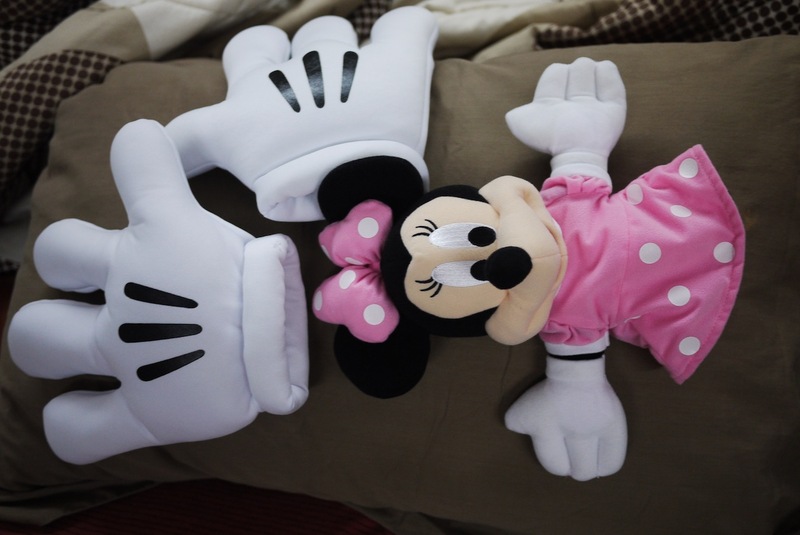 As we were heading out of the park during our last day, Chesca saw the big mickey hands and a pink minnie mouse puppet. We just had to buy them since they were great souvenirs and were just too cute. The big hands made her laugh big time. And we got the puppet for her little sister. Lexi (little sister) loved it when we’d make Minnie’s hands clap, then she’ll clap with Minnie and laugh, was all worth it :-). There are a lot of souvenirs and toys in the Disneyland shops and carts scattered around the park. They had the same price as the items sold in the hotel as well. Here are some of the souvenirs we got from Disneyland. Fab Finds: Coastal Scents Palette for Moms on the Go!